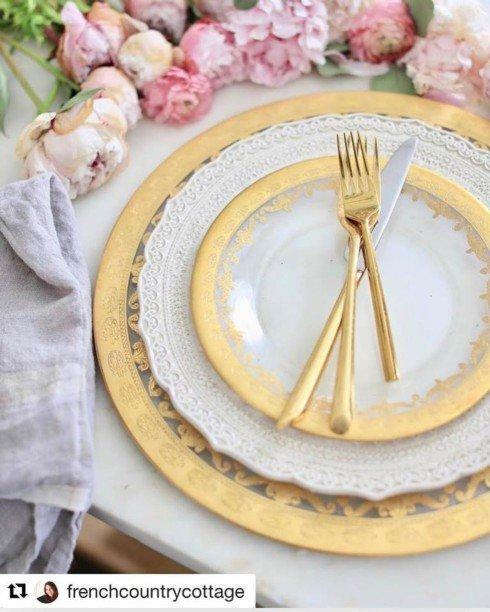 Bridal season is year round, but there is just something about a spring wedding! 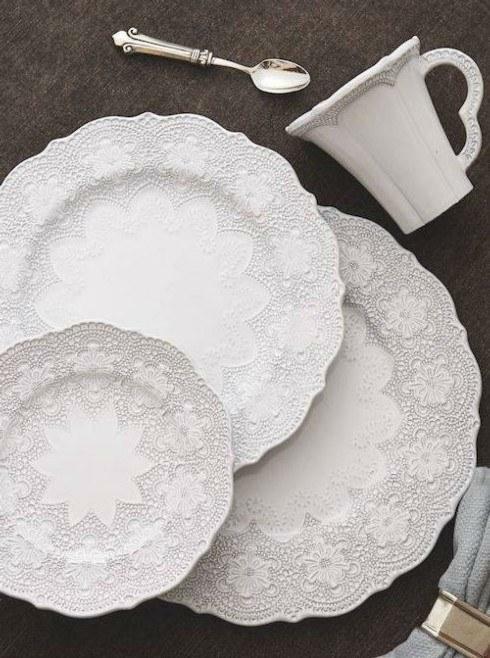 Whether setting the venue or creating a registry we have great pieces you can use for years to come! Happy Valentines Day! Enjoy today and share some love! 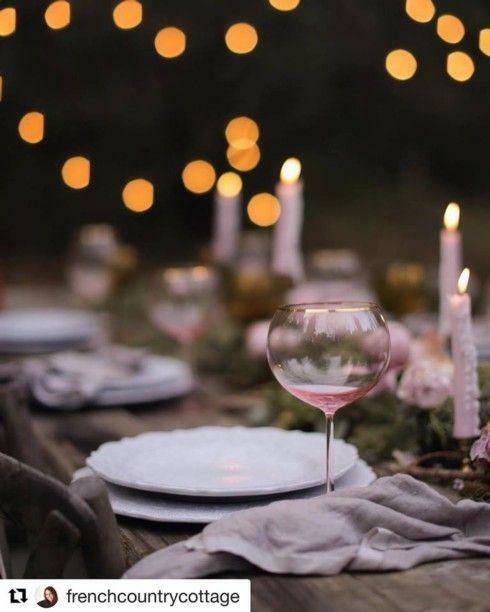 Only one day until Valentine’s Day and crushing on this moody table by french country cottage! With this much variety, you'll have no problem finding some-bunny to love. 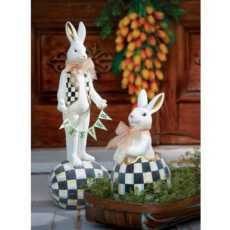 The egg shells are covered in textured glass beads for a little glitz! 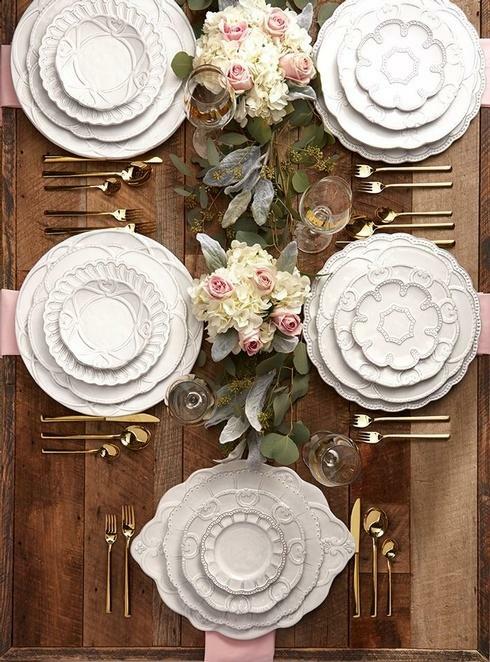 We are sharing on the blog beautiful romantic tablescapes just in time for Valentine's Day! 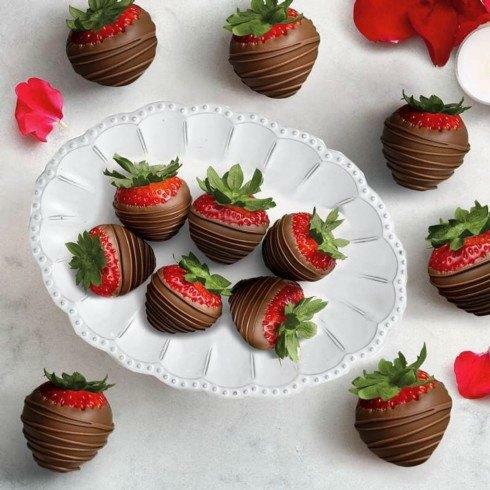 It’s less than two weeks until Valentine’s Day! 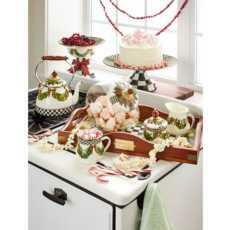 Think about a beautiful platter with sweet treats for your sweet! 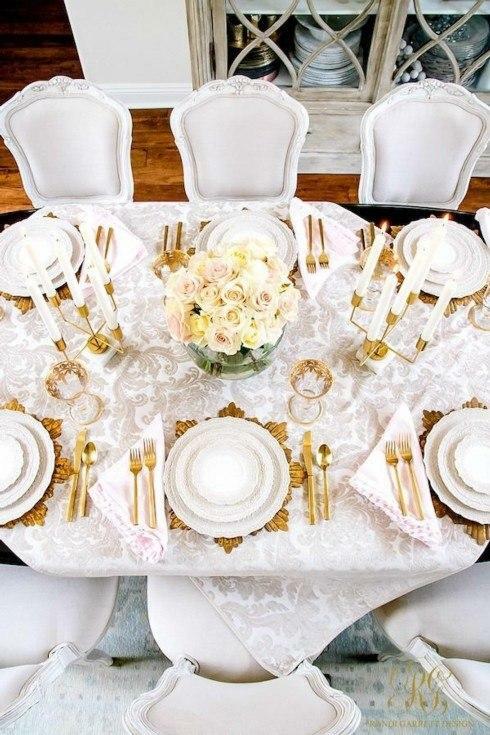 We are talking about Winter Whites over on the blog! See our favorites. 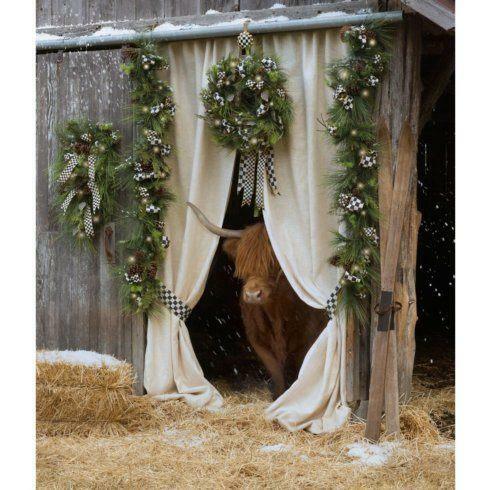 It's a New Year! 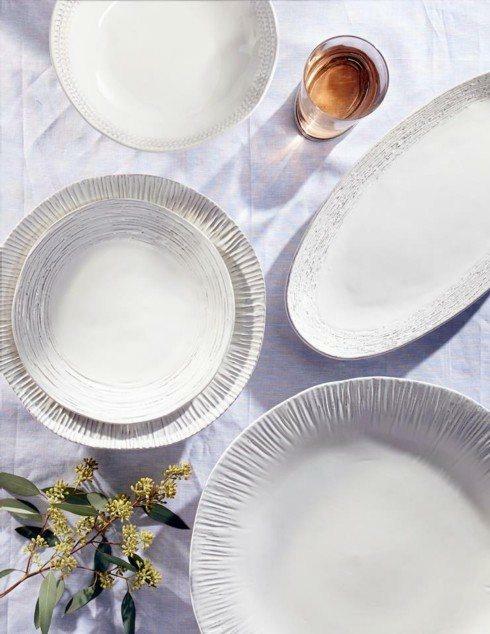 Check out everything that is new for Spring 2018 like our Grafiatta Collection now available in white. 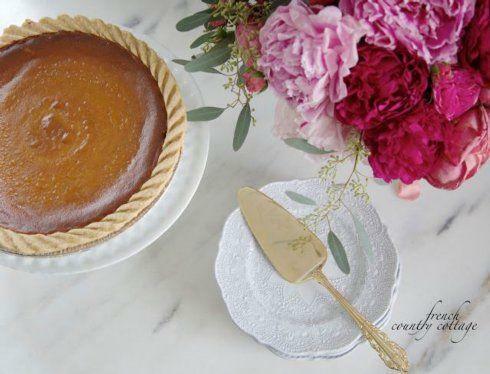 Wishing you a Thanksgiving that is as sweet as pumpkin pie! 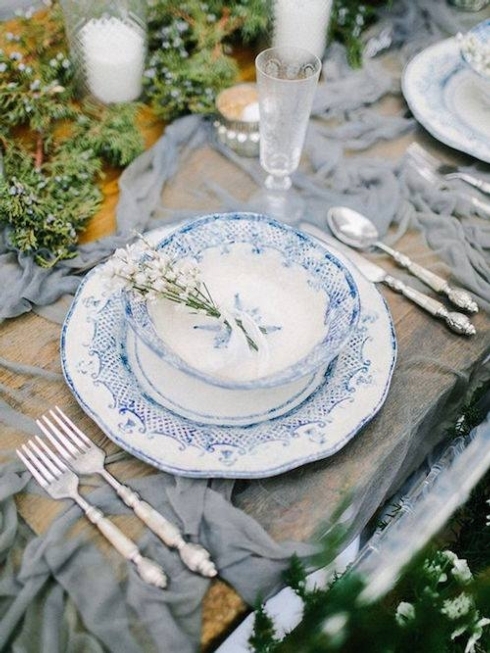 Image Credit frenchcountrycottage. 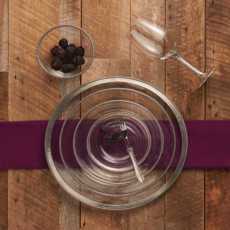 It’s not too early to be thinking about your holiday table, and Natale is a classic choice! Seen here in the pages of teatimemagazine! Why wait? 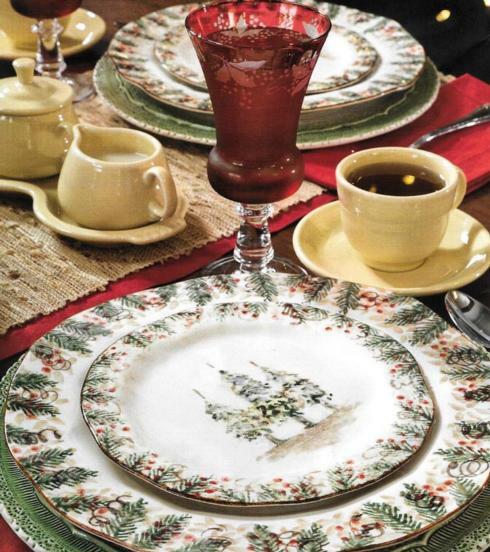 Start setting your dinner table with cozy tidings of old-fashioned joy weeks before the holidays. 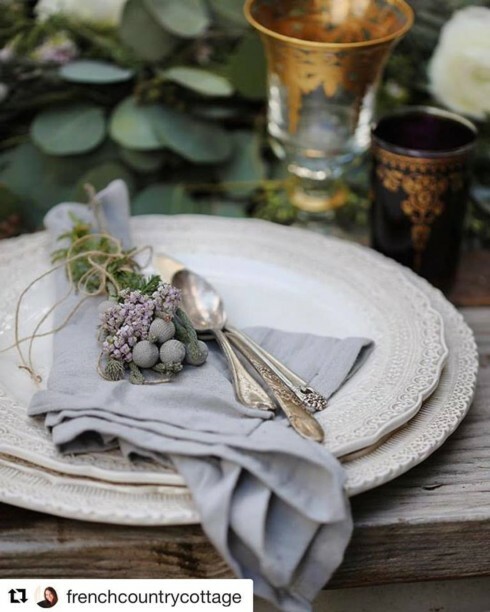 Beautiful fall table @frenchcountrycottage featuring our Finezza Dinnerware and Vetro Gold glassware. 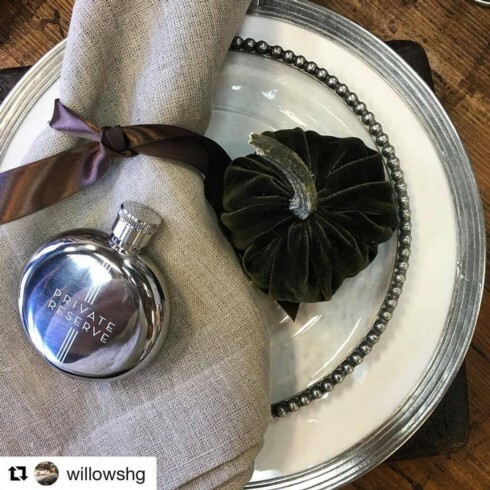 We love this combination put together by Willowshg, Tuscan Dinner Plate, with a Tesoro Salad Plate is so classic and topped with a sweet velvet pumpkin is perfection! 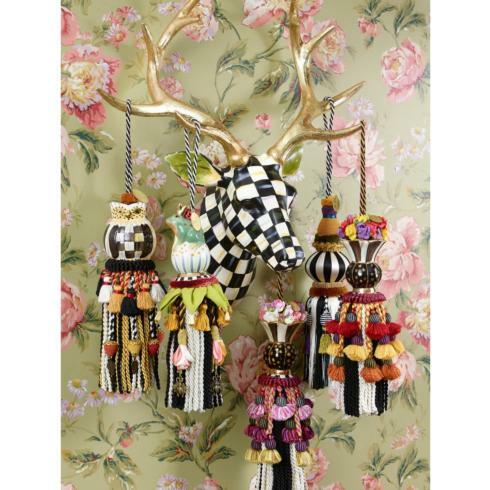 A handsome buck dressed in our signature pattern and adorned with a prizeworthy rack of gold antlers features bouquets or some of our favorite animal friends. 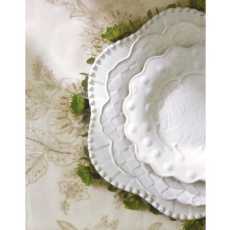 These substantial and swooshy accents are proof that we never miss a chance to add some whimsy to your home. WHO could resist our Courtly Checked cutie? From his striped head and dignified facial features down to his Courtly Checked body, this little guy adds woodland charm wherever he's placed. 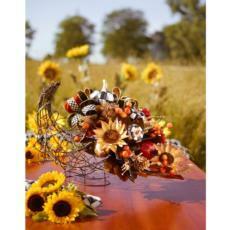 Our new FALL collection is here!!! 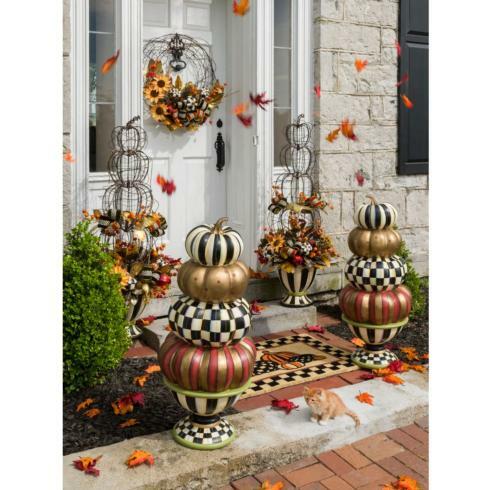 Make your home feel welcoming with all of the abundance of autumn: golden leaves, sprigs of berries, pinecones, dried flowers, and beautiful shapes that add just the right touch for the season. And of course a dash of Courtly Check for good measure. Burano is one of our personal favorites, here are our five reasons why you should love it too! 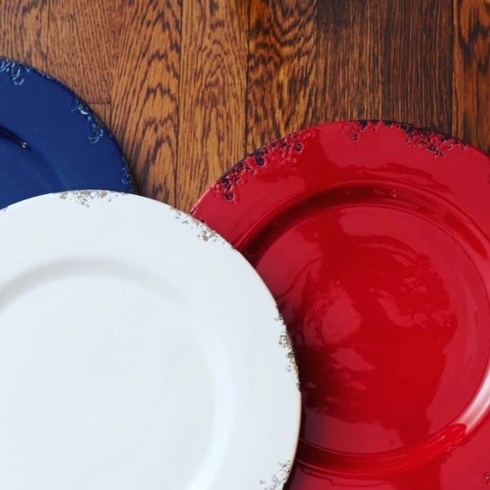 5.Layer in some red and show your patriotic side. Mara, our talented Italian artisan, teaching the daughter of our product designer a thing or two on painting ceramics! You can see Mara in action on our website, or in person this fall! Stay tuned for details! 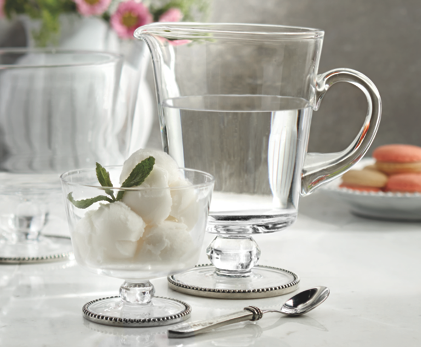 Beat the summer heat and cool off with some cold gelato in a beautiful bowl like our Eleganza! 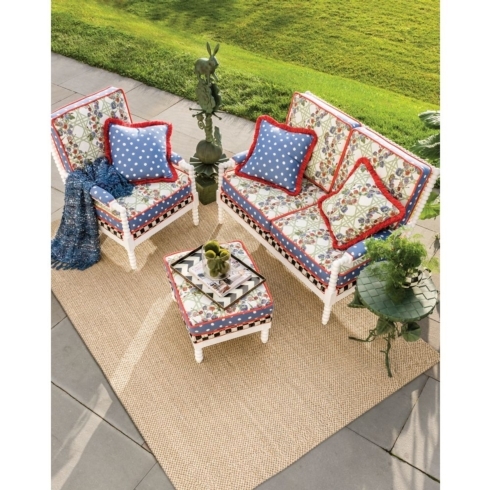 Bring the luxury of indoor living outdoors this summer, upping your useable square footage and turning your porch into the most sought-after room at the house. An indoor/outdoor rug helps define the space while providing a soft spot for bare feet. Happy Father's Day! 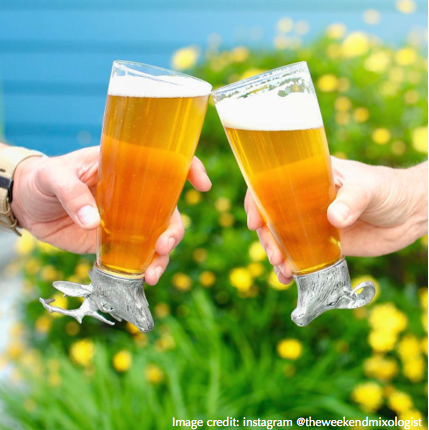 Instagram handle-Theweekendmixologist, captures our Animale Pilsners with perfection! Beautify a blank wall! 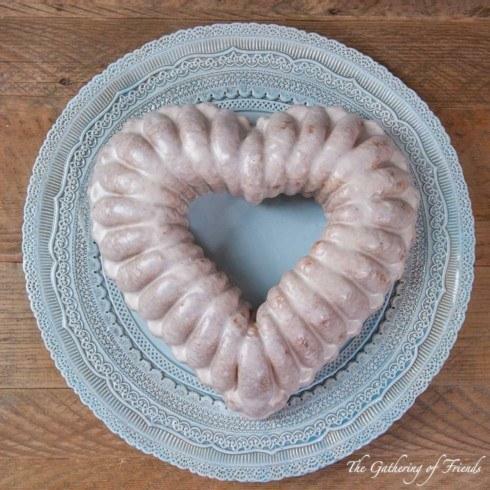 Put a twist on a traditional gallery wall and add three-dimensional elements. 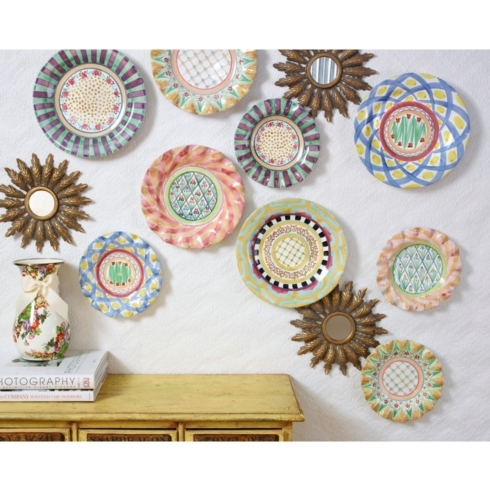 A piece of jewelry, a favorite basket, or even painted plates, like these from our Taylor collection, look perfect placed on the wall in a group or among artwork. 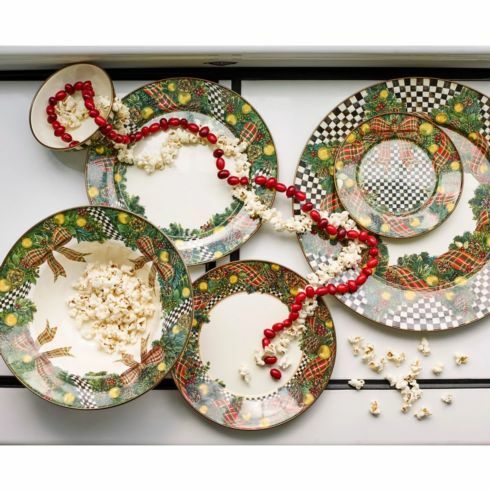 It's a pretty way to display a single piece or a collection of plates that aren't part of a pair. 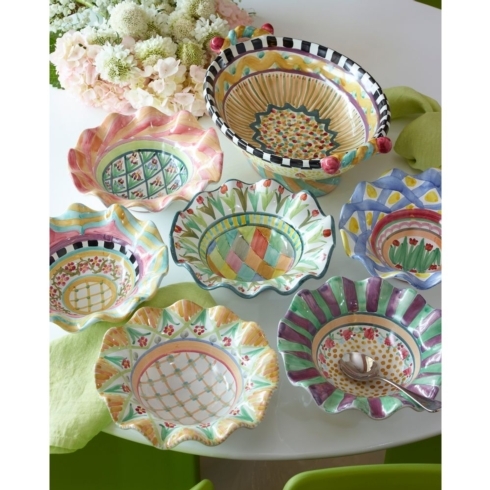 Our very first majolica collection, Taylor happily mixes and matches patterns and colors for a delightful result. In a time-honored and time-consuming process, each piece is shaped from red clay, fired, glazed, hand-painted, and fired again. Turn each piece over to see the stamps of the artisans in Aurora who created it. 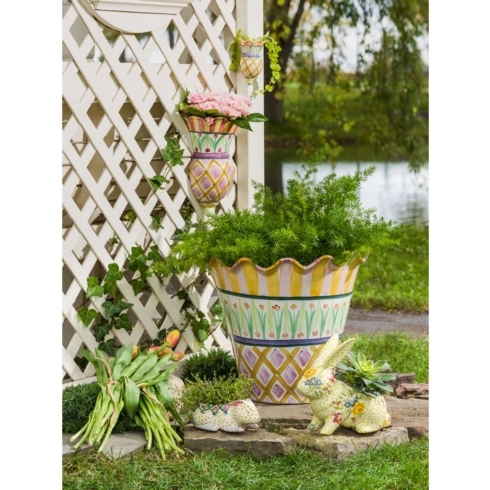 Our majolica pots, planters, and wall vases are hand-painted by artisans who draw inspiration from the acres of wildflower gardens on our Aurora farm. 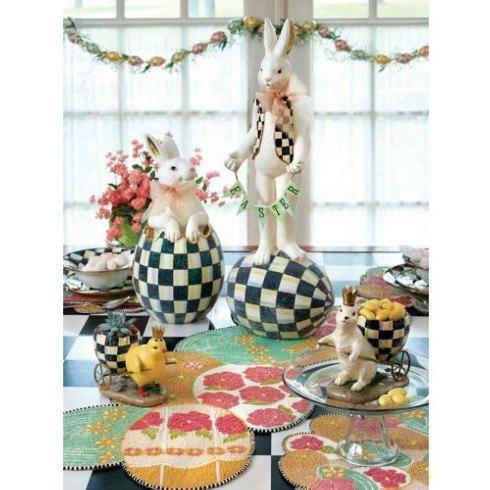 Don't you just love MacKenzie-Childs in the Spring? 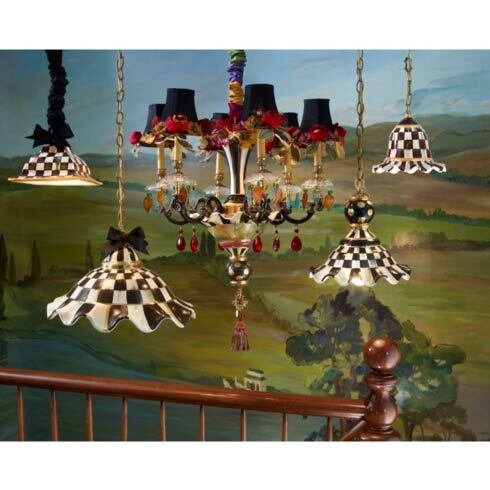 Think of these ceramic lights as hanging works of art. Each one is made by our master artisans in Aurora to add a one-of-a-kind look to your fixtures. Don't be afraid to add a little pattern to your pendants instead of plain old metal finishes - the black and white checks keep it versatile. Wonderful things happen when neighbors help each other out. 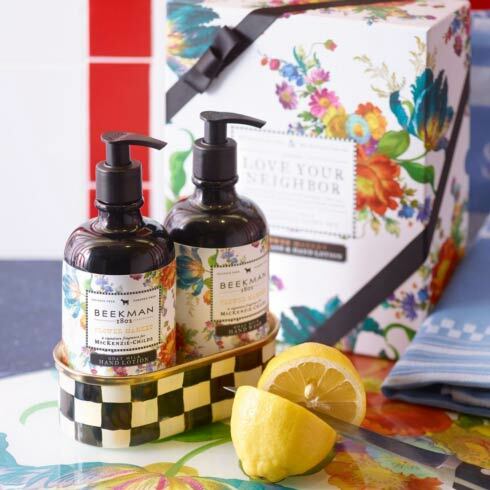 Working with Beekman 1802, we developed this soap and lotion set with a blooming-floral fragrance. 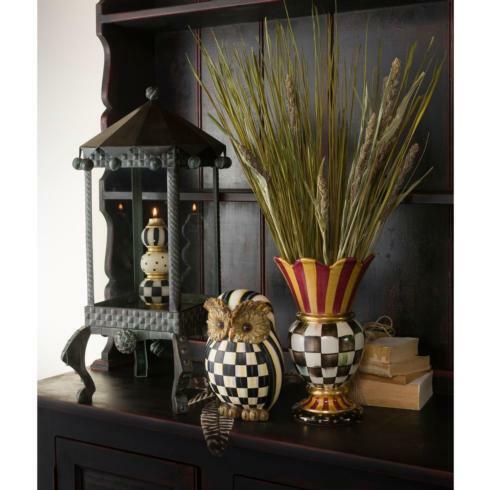 The pair sits perfectly in a Courtly Check container beside your sink - making clean look cool. Did you know there are MC rubber rain boots too? I want them!